'Exodus,' meaning 'going out,' is the title the Greek translators gave the second book of the Bible, the second book of the Pentateuch. 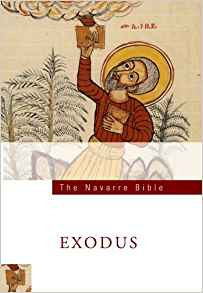 This Navarre Bible volume contains the entire text of Exodus, together with a commentary. The children of Israel initially enjoyed peace and prosperity in Egypt, but under a new regime they were oppressed and enslaved. Eventually God in his providence chose Moses as their leader and liberator; and they made good their escape (probably in the 13th century BC). They were to spend 40 years in the wilderness of Sinai before reaching the Holy Land. The accounts contained here cover the most important early events in the history of Israel and prefigure the salvation wrought by Christ the Lord.